Education: Dr. Wang is a graduate of U.C.S.D. with a Bachelor's Degree in Biochemistry. He attended dental school at U.S.C. and was a graduate of the class of 1999, in the top 10%. 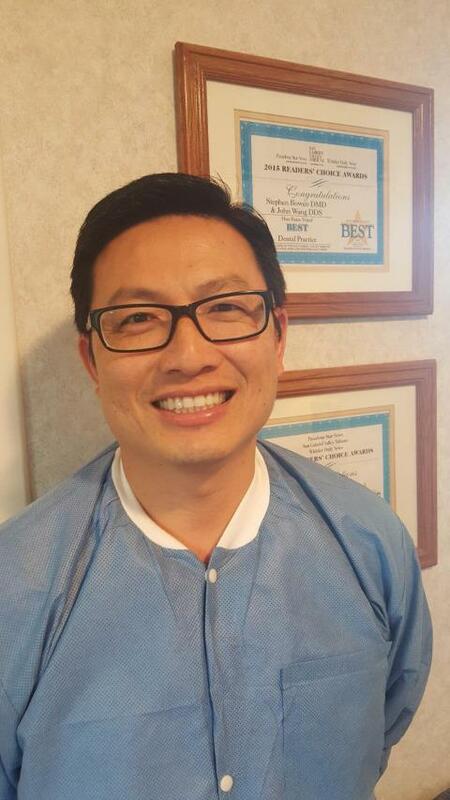 Professional Career: Dr. Wang has been in practice for over 13 years, primarily in the San Gabriel Valley area. He has practiced at this location since 2005 and is currently in association with Dr. Stephen W. Bowen. He is a member of the C.D.A. and the Academy of General Dentistry. Personal: Dr. Wang grew up in Irvine, CA and is currently residing in Walnut with his wife, Linda, and their 2 children. In his spare time, he likes to golf and bowl. Nowadays, he just loves to hang out with his children.